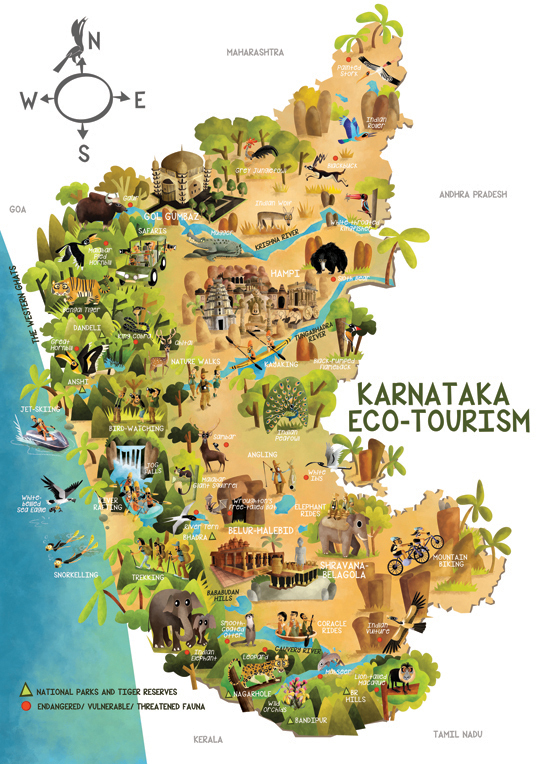 An illustrated map for Karnataka's Ecotourism Board that highlights sanctuaries, national parks, ecotourism facilities and some heritage destinations in the state. The map was formally released at the Karnataka Bird Festival concluded recently in Mangalore. Thanks to Mr. Vijay Mohanraj for commissioning the project.